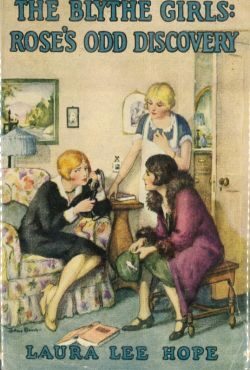 Created by the Stratemeyer Syndicate, the Blythe Girls series was published by Grosset and Dunlap from 1925 through 1932. 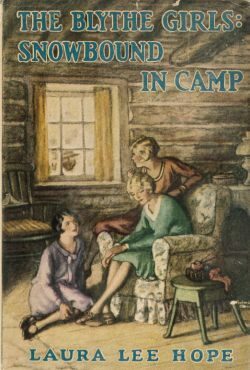 Whitman later reprinted volumes 1 through 4. 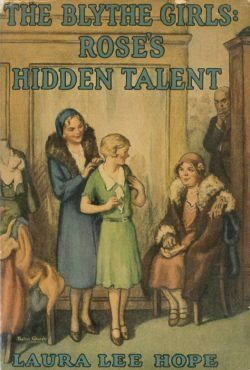 Illustrator for the G&D books was Thelma Gooch. 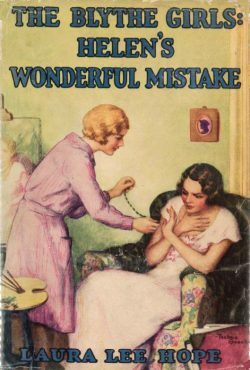 Elizabeth M. Duffield Ward wrote the series under the popular Stratemeyer Syndicate house name of Laura Lee Hope. 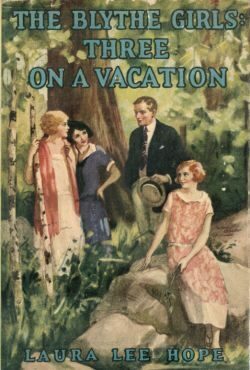 Ward also wrote volumes 7 through 23 of the Outdoor Girls series. 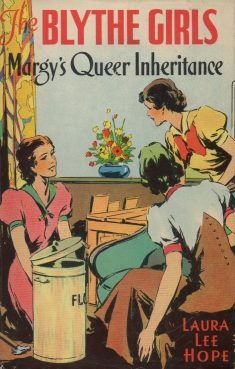 This series followed a pattern: first, a title about all three girls, followed by books centering on Margy, Rose and Helen, in that order, the cycle then repeated. 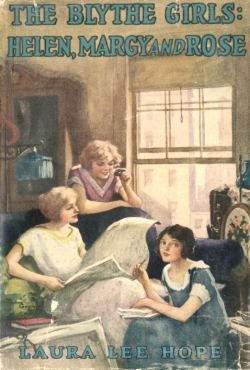 "These stories relate the experiences of the three Blythe girls who were left alone to make their way in the big city of New York. Every young girl with want to know how they succeeded." - G&D advertisment. The Blythe Girls. 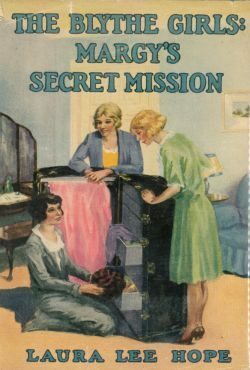 three in number, were left alone in New York City.Helen, who went in for art and music, kept the little flat uptown, while Margie, just out of business school, obtained a position as a private secretary and Rose, plain spoken and businesslike, took what she called a 'job' in a department store. 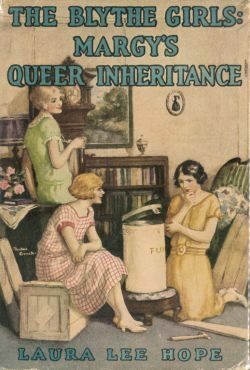 The girls had a peculiar old aunt and when she died she left an unusual inheritance. The tale continues the struggles of all the girls for existence. 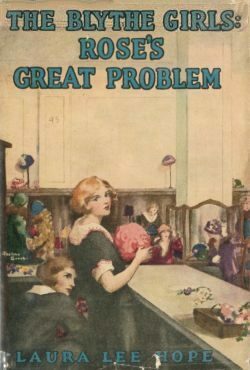 Rose, still at work in the big department store, is on day faced with the greatest problem of her life. A tale of mystery as well as exciting girlish happenings. 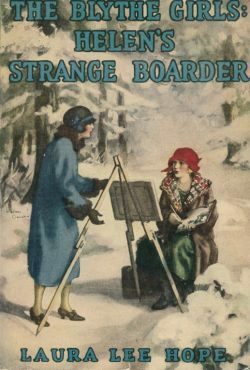 Helen, out sketching, goes to the assistance of a strange girl whose identity is a puzzle to all the Blythe girls. Who the girls really was comes as a tremendous surprise. 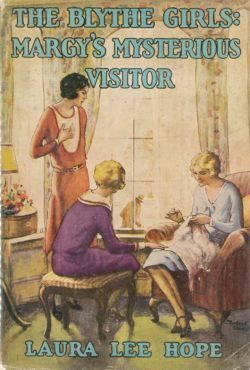 The girls close their flat and go to the country for two weeks--and fall in with all sorts of curious and exciting happenings. How the came to the assistance of Joe Norris, and solved a queer mystery is well related. Of course we can not reveal the big secret, but nevertheless the girls as usual have meny adventures. A very interesting story, telling how Rose aided an old man in the almost hopeless search for his daughter. 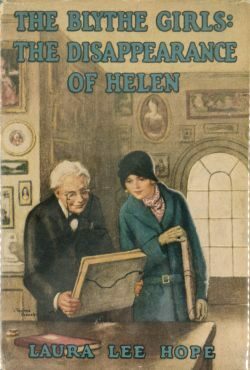 Helen calls on the art dealer on business and finds the fellow has made a wonderful discovery. An absorbing tale of winter happenings, full of excitment.